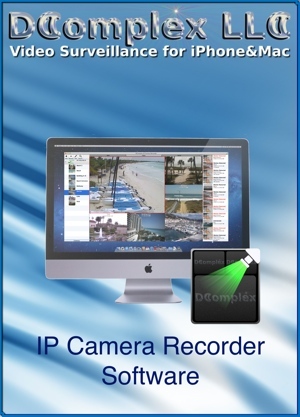 The IP Camera Recorder provides you with Remote Access and Monitoring from anywhere. See what’s going on from your iPhone, tablet or any other computer. Receive custom Motion, Person and Car Detection alerts. Scan through footage using the intuitive graphical timeline with motion detection events. The Recorder runs on a standard Apple Mac or Microsoft Windows PC. Its streamlined and clutter-free design makes it extremely easy-to-use. It is packed with advanced features to assist you with all your video surveillance needs. 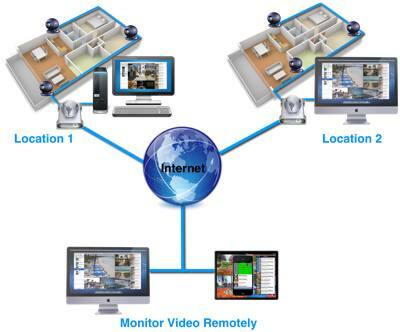 MULTI-CAMERA MONITORING AND RECORDING from unlimited number of cameras, installed at different sites, simultaneously. Automatic discovery IP Cameras on your network. Automatic start up within seconds of turning on your Mac or Windows, no manual launch is required or even for you to be logged-in. Recording modes include: “Always”, during a customized schedule, or based on motion, or both. Turn desired features on or off to fit your needs. 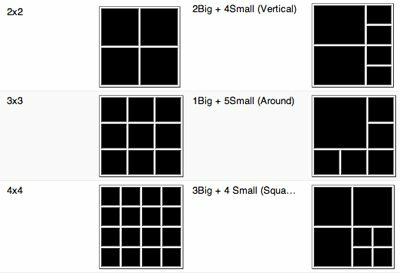 BUILD YOUR OWN VIDEO LAYOUTS to accommodate and organize large number of cameras. To monitor all your camera’s video on one screen the Recorder comes with multiple video layout templates (1×2 grid, 2×2 grid, 3×3 grid, 4×4) and a tool for you to create your own custom layout templates. Tabs can be used to organize cameras in groups. For example: setup one tab for your home cameras and another tab for your office cameras. You can switch between these groups in one click. CUSTOMIZE MOTION DETECTION WITH REGIONS to save your storage space and your time. The build-in motion detection works for any IP Camera model. The Motion Detection functionality is activated automatically once you add a camera. The Recorder monitors for motion the entire camera view or specific areas only and ignores the rest. 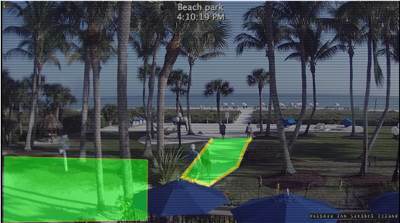 Customize motion detection by selecting monitoring zones, an intensity and a higher video recording frame rate. The Recorder alerts you instantly when it detects motion. Receive alerts on your iPhone and/or e-mail only when you want to. 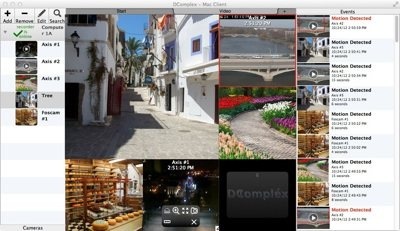 CONTROL YOUR PTZ (PAN, TILT, ZOOM) CAMERAS directly from your Mac, PC, iPhone/iPad apps. the camera and control PTZ presets. The Recorder automatically detects PTZ cameras. You can control your PTZ cameras directly from your Mac, PC, iPhone/iPad apps. Note: PTZ presets must be configured on the camera before they can be used by the app. 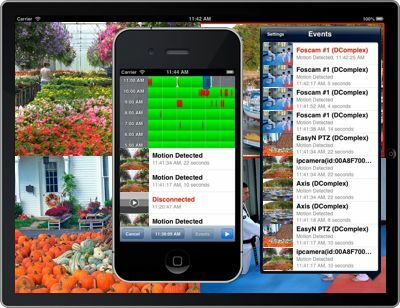 Your iPhone/iPad app becomes a multi-camera PTZ controller that you carry in your pocket. Digital PTZ (Pan, Tilt, Zoom) is available for any camera model. MANAGING YOUR STORAGE LOCATION is easy. The Recorder provides smart managing the computer’s hard drive resources. It scans and displays all available storage locations for you to choose from, monitors the selected storage location for available storage space and displays it’s status. You can also configure to record video to your external hard drive(s). If needed, UPLOAD TO REMOTE LOCATIONS is available. The Recorder can automatically upload video to a remote FTP Server. You can quickly setup FTP upload to keep a copy of your video events. Even if your recorder is stolen or damaged, the important video can still be found on your FTP Server. The Recorder organizes all recorded video and motion events from a camera into an intuitive graphical timeline. Save your time with one-click replay. It takes only seconds to find and review your video. The Recorder provides easy export of movies or snapshots. 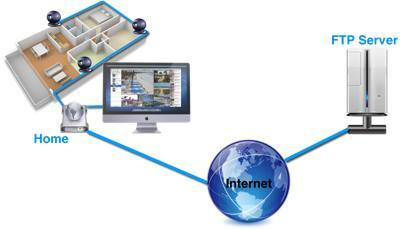 REMOTELY ACCESS AND MONITOR your video surveillance system from anywhere in the world! Control your PTZ cameras, review live, recorded video and events remotely from another Mac or PC, iPhone/iPad apps on the network using secure channel. Receive alerts on your iPhone and/or e-mail only during the time you are away. 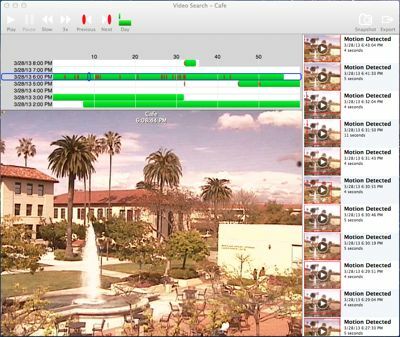 Make your iPhone/iPad app a multi-camera PTZ controller you can carry in your pocket. MULTI-RECORDER MONITORING from the same app. Have more than one location to protect? 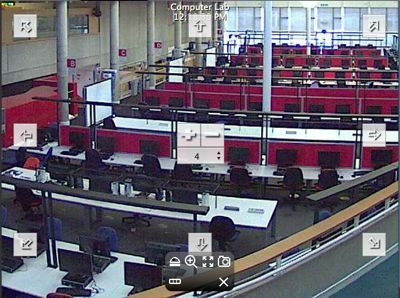 With complementary remote access you can now connect to and monitor all your DComplex IP Camera Recorders from one computer. It doesn’t get any better that this.